There has been no post on this blog since December 2012, but this will change. I have prepared new layout, new look, new functions and I will write new posts for you. You can also read something more about me as an author of all those posts here. Well, almost all of them. Some were written by my friends Peter Osterveršnik from Udobnoposvetu.si and Jirka Hebeda. You can see the new layout and look by yourself now. I hope you like it as well. There are more posts on the main page and the overall feeling is much cleaner than it was before. You have the possibility to sign up for new posts delivered by e-mail now. 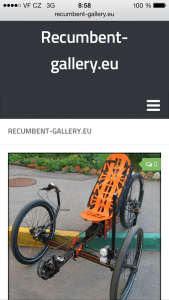 I suppose to write like 2 of them a week in average so you will not have your inbox full of messages from recumbent-gallery.eu but you will know about this and that from recumbent world just in time. I hope to have more comments under every post and I am ready to answer on them. So a little note about number of comments is next to the featured picture of every post. Feel free to submit comments about anything you feel is related to the particular post. You will automatically receive an e-mail when a new comments will be written under your one, but you can also decide not to receive it when writing the comment by yourself. I personally find this function pretty useful when commenting something so I hope you will like it as well. Read more about me, my goal with this blog and about my plans. I have selected several books from Amazon which are related to recumbents. I did not read most of them and I have no idea about their quality, but I think it is nice to read some travel stories or general informations. I did read one which I like a lot. The “If you fall” from Karen Darke. 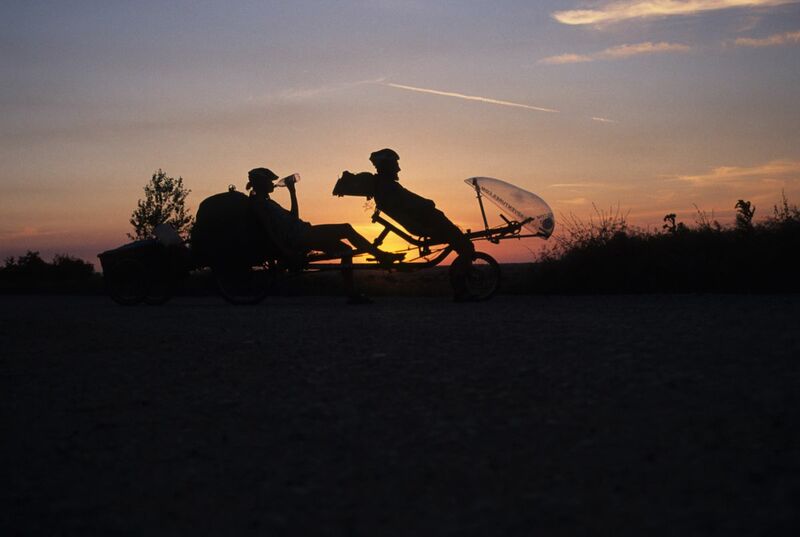 It is just a bit about recumbents, but a fantastic story. You can also find some jerseys and mugs in the little store. You can browse through the web via categories as well. Find links to them at the top of the page. 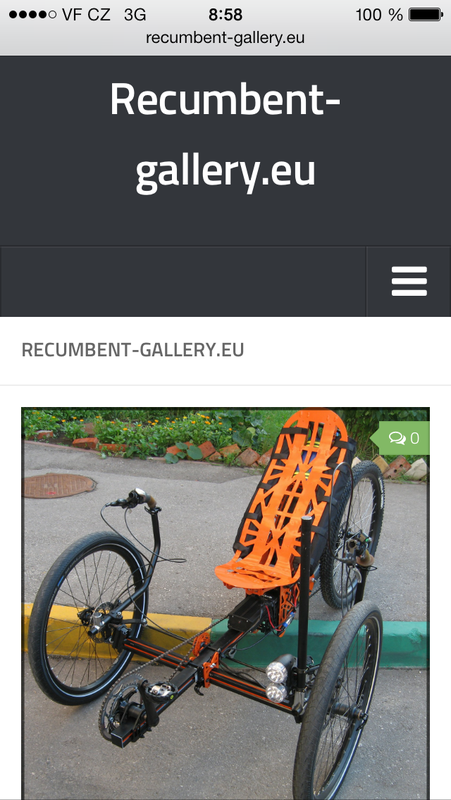 One more good thing is that the web page is truly optimized for mobile devices include pictures, sign up form etc. Just place it on your home screen and you can enjoy my posts everywhere every time.